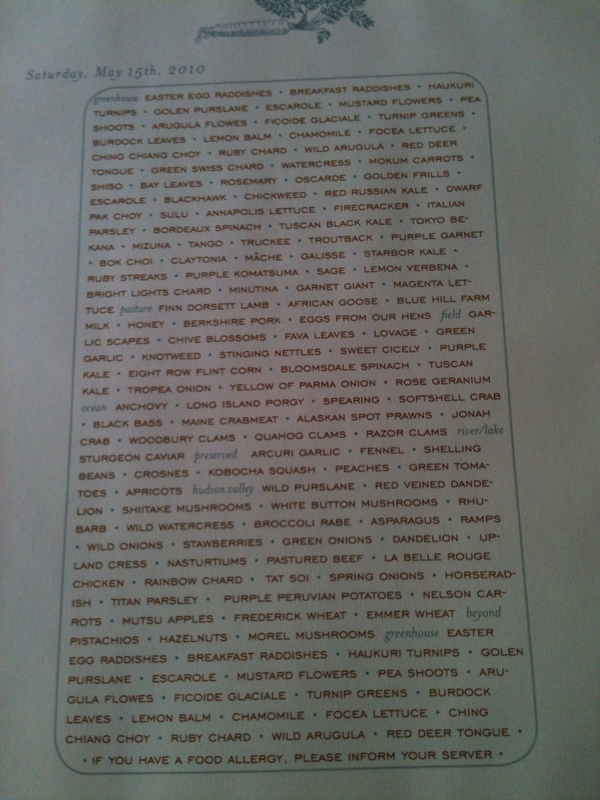 For a couple of years I have been daydreaming about visiting Stone Barns Center for Food and Agriculture in New York. Every time I read a new article about the farm or about its renowned restaurant Blue Hill at Stone Barns, my imagination started to fly and wished one day I could visit this place and eat at the restaurant. An unexpected trip to New York City came up and I found myself looking for my computer to contact Stone Barns and arrange a visit. 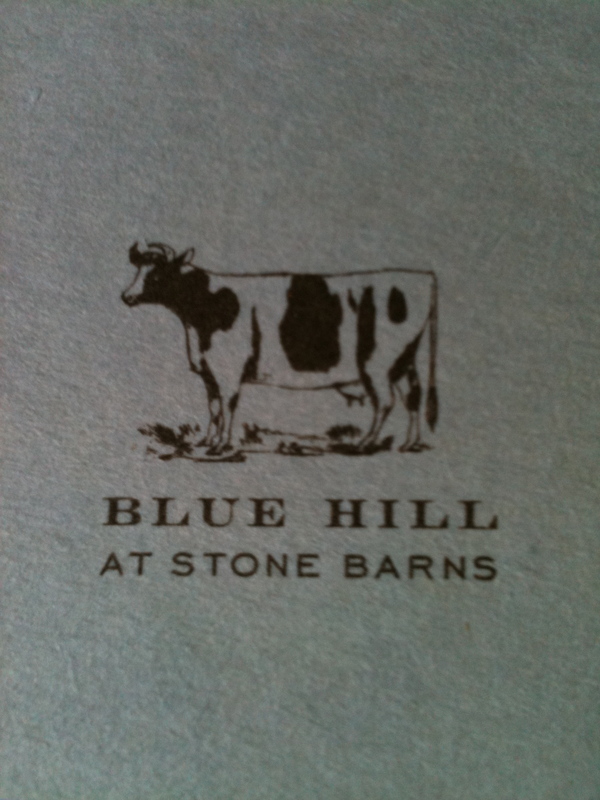 As one would imagine, the Blue Hill at Stone Barns Restaurant was fully booked. It turns out that if you want to go to have dinner at this restaurant, you must make reservations exactly two months ahead of time! The hostess I spoke to was kind enough to give me some pointers and told me that they had a full service bar area with a first come first serve policy and if we arrived early (meaning when they opened at 5pm), we had a good chance of having dinner at Blue Hill’s bar. So I arranged our visit in a way that we could enjoy nature, tour the property, and sample what the farm had to offer. 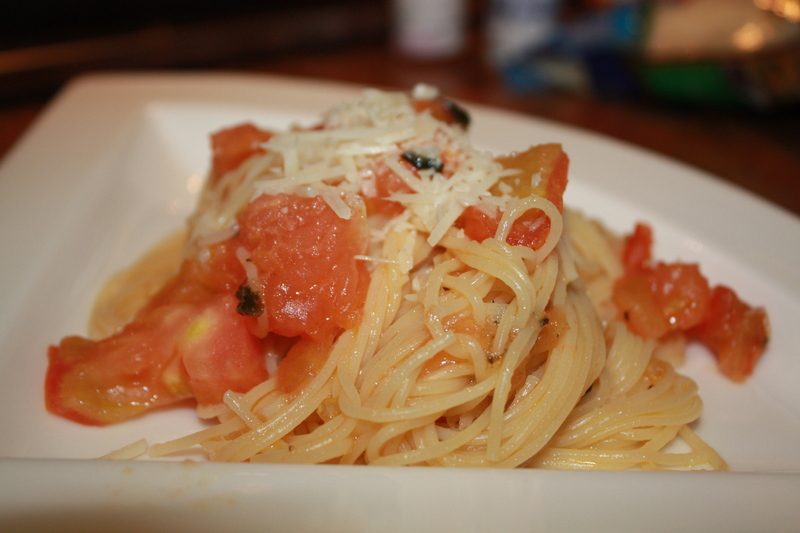 Everything turned out better than planned! 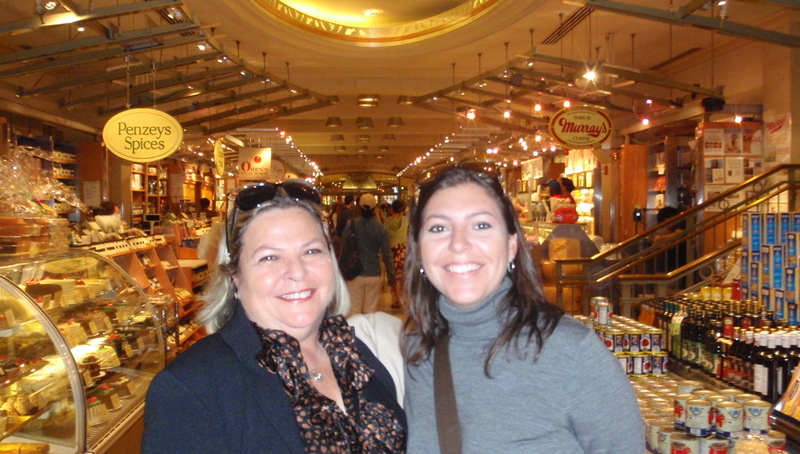 It was on a Saturday morning in late May that my mother, my friend Maryse and I had a delicious organic breakfast at Le Pain Quotidien in Manhattan ( 922 7th ave. corner 58th st. ) and immediately headed to Grand Central Station to catch the next train to Tarrytown. Once we got off the taxi cab and entered Grand Central Station to catch the Metro North line, I felt bombarded with “food stimuli” as we walked through a large arched hallway that lead to the train tracks filled with endless stations of food specialties on both sides for the convenience of daily commuters. I though I had died and gone to heaven! Anyway, we took the 11:45 am train in which we could appreciate beautiful views of the Hudson River. Tarrytown is a quaint village about 25 miles north of Manhattan, near Sleepy Hollow, where Washington Irving’s story was inspired. 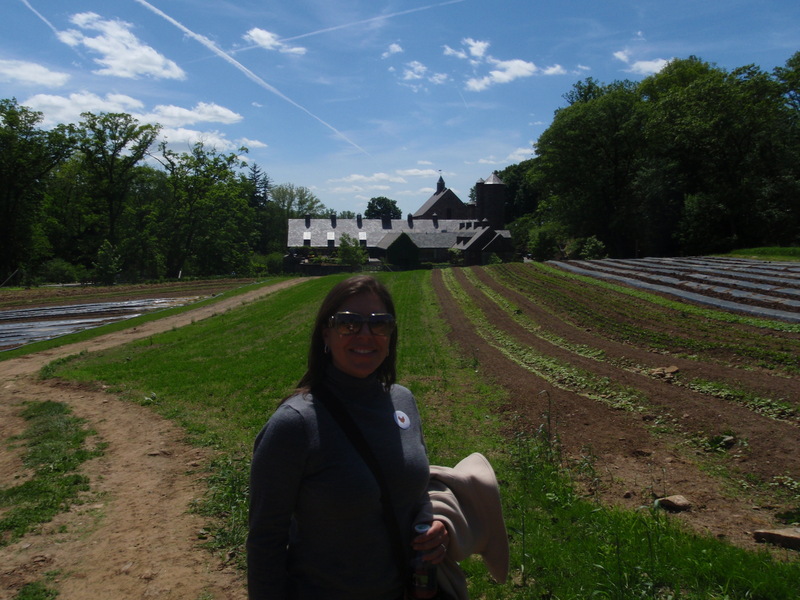 Once we got to Tarrytown, we hopped into a cab to Pocantico Hills, where the farm is located (about a ten minute ride). Stone Barns is located in Pocantico Hills, a hamlet in the town of Mount Pleasant, on 80 acres of Rockefeller’s Park Reserve (4,000 acres in total). Once you start walking around the property, you get a sense of freedom and community. 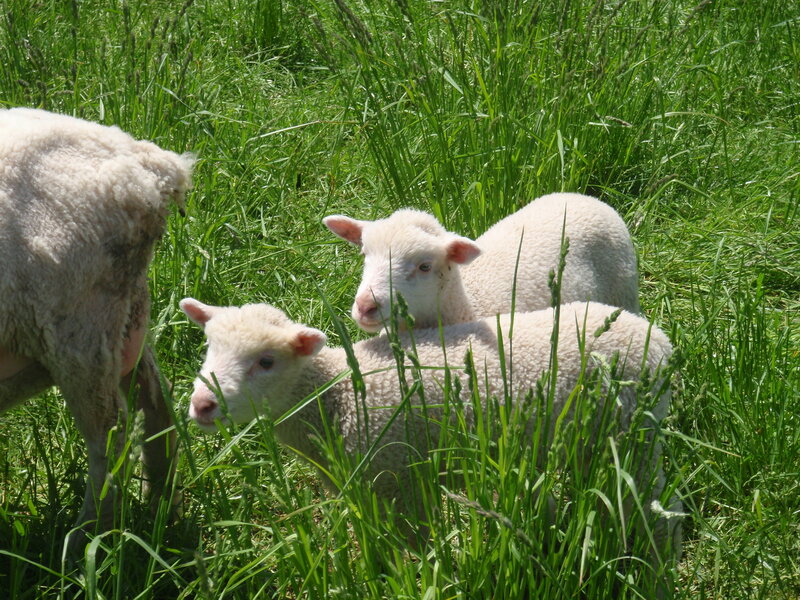 I noticed many visitors bring their dogs, families with small children, and couples, maybe on a first date, but we all had one thing in common and that was to enjoy the outdoors, get away from the city and learn first hand about sustainable farming. Dan Barber, executive chef and creator of the concept of the Stone Barns Center for Food and Agriculture and co-owner of Blue Hill Restaurants, has been promoting for many years the concept that people should be more conscious about their food choices and how those choices affect your health. 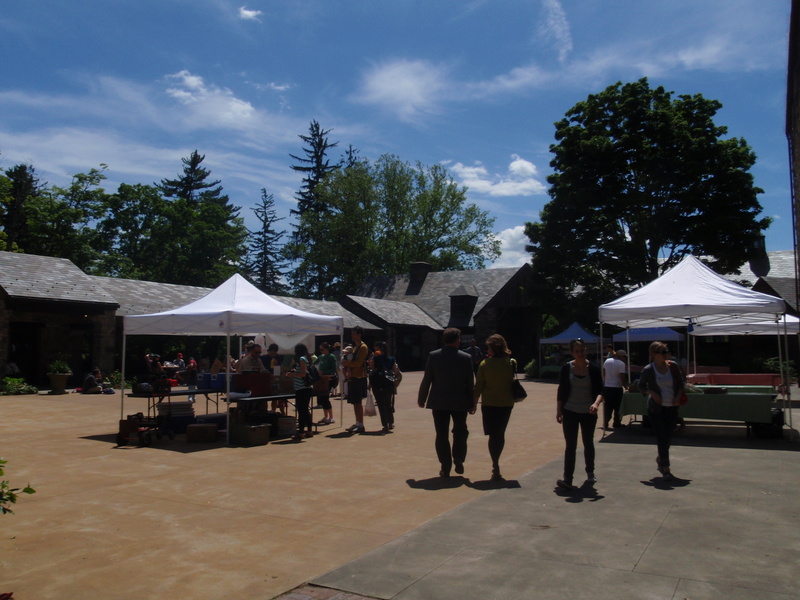 The farm is a non-profit center for food and agriculture education and for city dwellers to come learn about the farm-table connections. 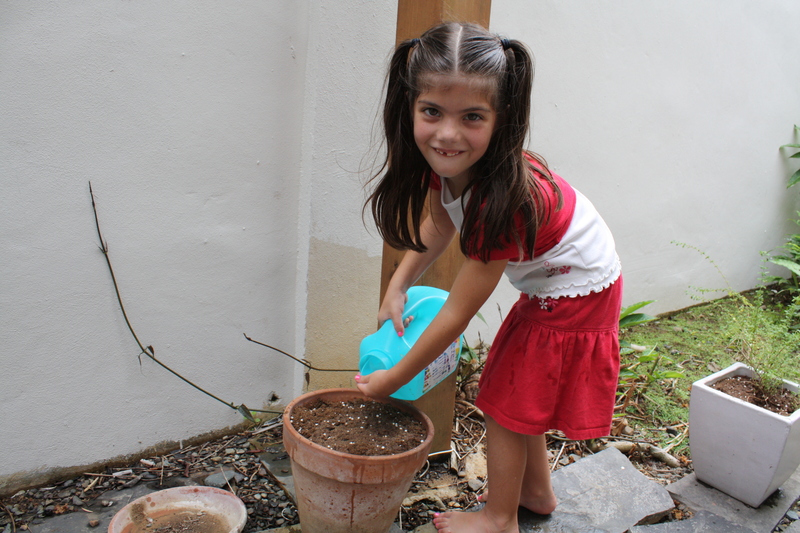 They even have a camp for children to get their hands dirty and learn about farming and growing good food. We arrived early, so we had time to take a walk on our own towards the livestock areas of the farm since our tour would be focused on vegetable farming. On our way to the open hilly pasture fields, we could reckon the fringe of the forest of the Rockefeller Park Reserve which surrounds the farm. Further ahead, we began to see little white heads popping from the tall grass. 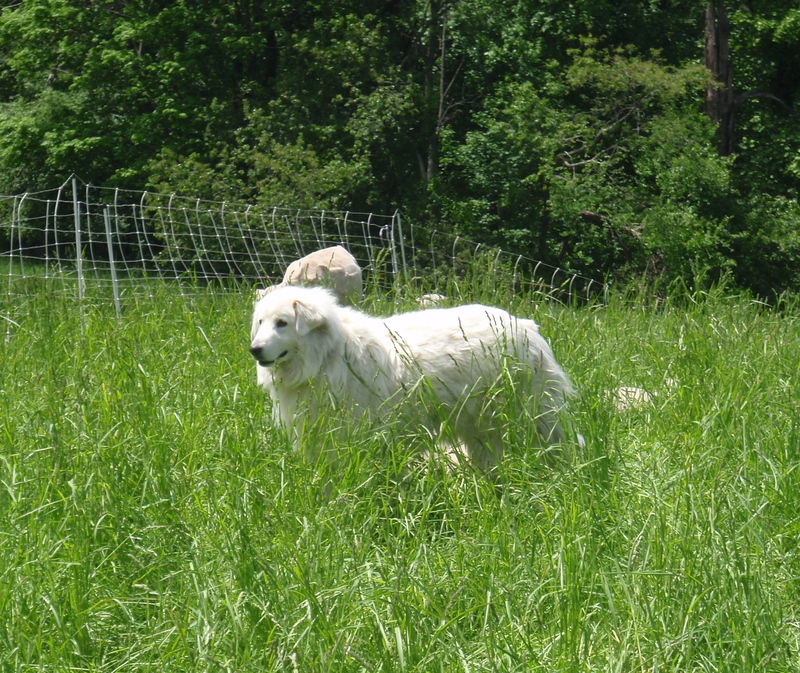 They where a group of sheep guarded by a docile Maremma Sheepdog, and italian breed of dogs with a thick white coat that protect sheep from predators. Then we walked towards the grass-fed cattle. 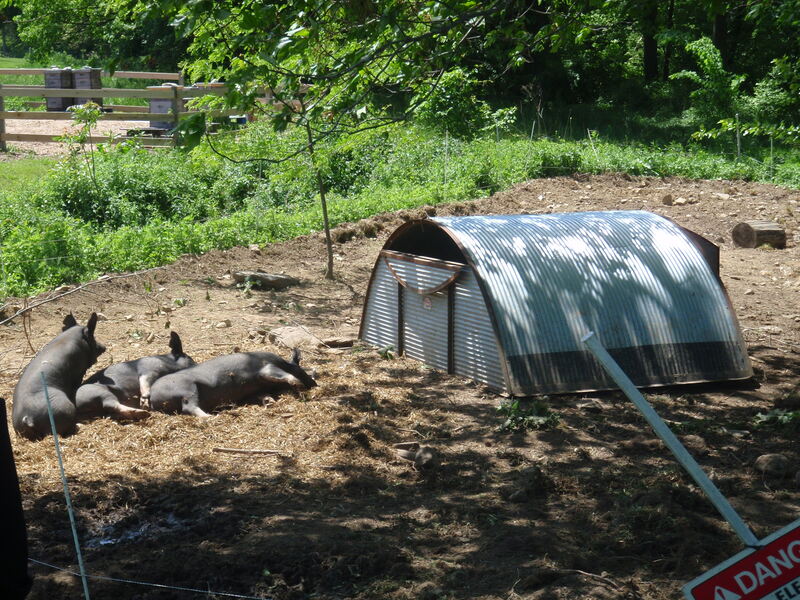 On the way, we also saw Berkshire pigs resting in the shadow of a large tree, natural honey being harvested and lastly, we visited the free range chicken coops. 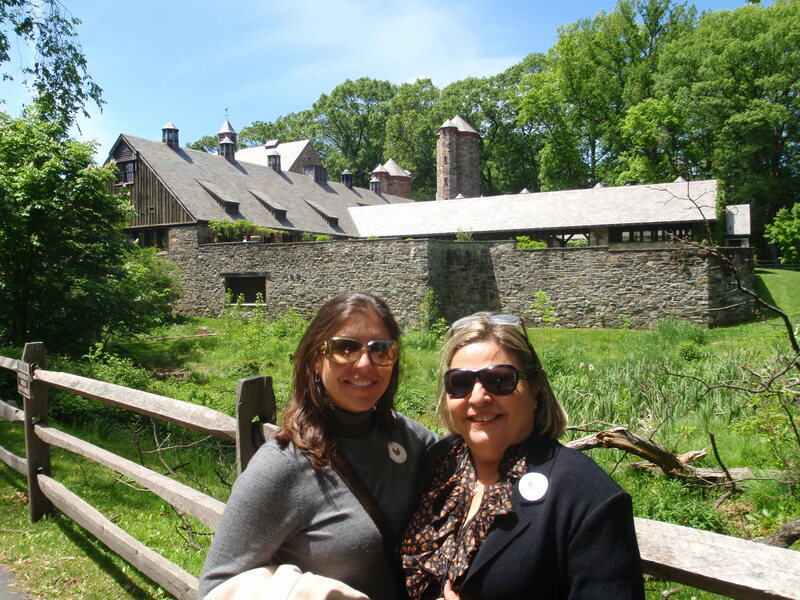 At 2 pm, our tour met at the farm’s courtyard which is surrounded by the Blue Hill Cafe, Blue Hill Restaurant, event rooms and the Stone Barns gift shop. The building is made of gray slate stone, hence its name, and is also available for private events. At the farm, they don’t harvest seeds. Instead, they buy them from heirloom seed banks. The farms crops and products are sold to the Blue Hill Restaurants (the original Blue Hill Restaurant is in Greenich Village in New York City) and Café, at their farmer market on weekends and if there are any leftovers, sold at other farmer markets no further than 250 miles away, to comply with the Locavore (those who prefer to purchase locally produced goods and services) movement. where compost tea is "brewed"
First, stop was the four acre farming area which is seeded according to the four seasons and with an 8 year rotation system. I was told by our tour guide, that spinach and winter greens taste better when planted in the winter because in order to strive they turn starch into sugar yielding sweeter greens. Crop rotation is a practice that promotes a more fertile soil, diminishes pests and pathogens and obtains better yields. 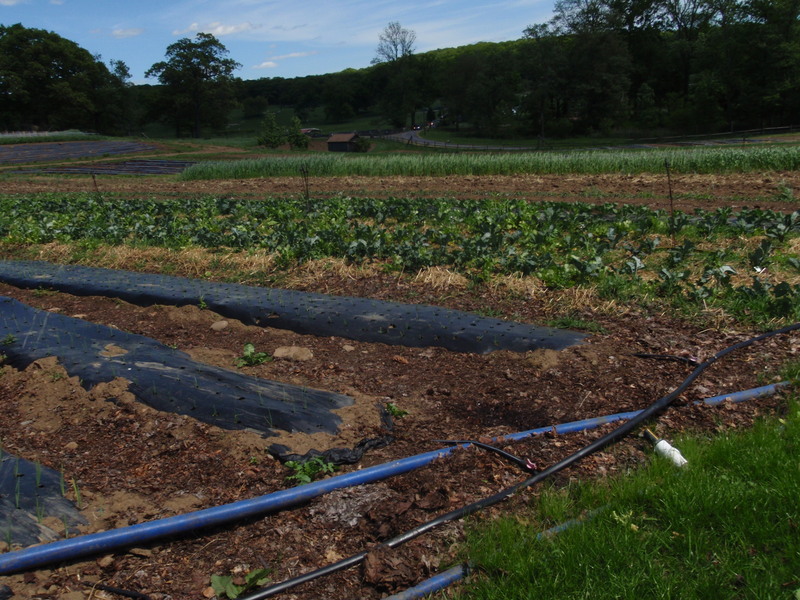 The dissimilar crops are rotated every year to replenish nutrients in the soil. 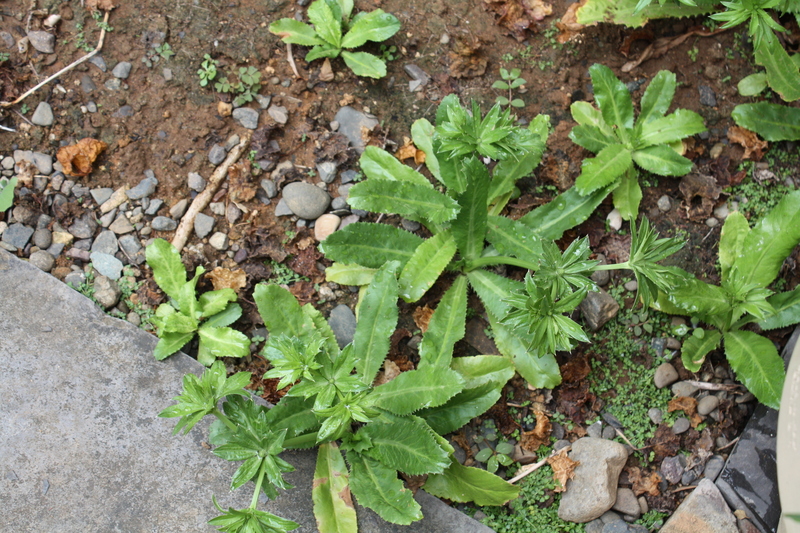 For example, in the area where crops like nitrogen-hungry spinach was harvested, nitrogen-replenishers like legumes are used as fertilizer or as the next crop. 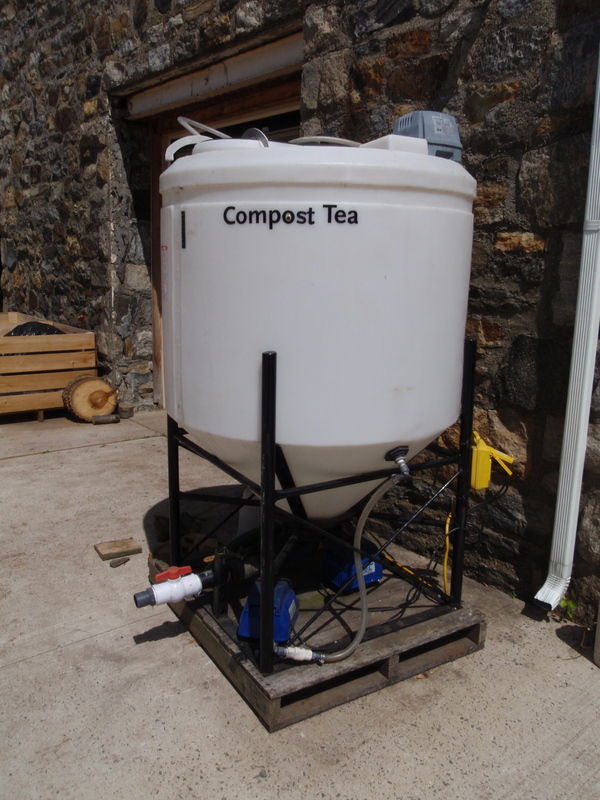 In addition, what they call Compost-tea is produced on the farm with the restaurant scraps, organic material, non-edibles and farm and forest leaves to fertilize the soil. As you walk though the field you notice a dark “plastic” that covers some parts of the crop which is actually a tarp made of cornstarch used to prevent weeds and protect the crop. Throughout the farm there is a marriage of old style farming tradition and modern technology in order to produce the best outcomes without the need of artificial chemicals, hormones, antibiotics and/or pesticides. 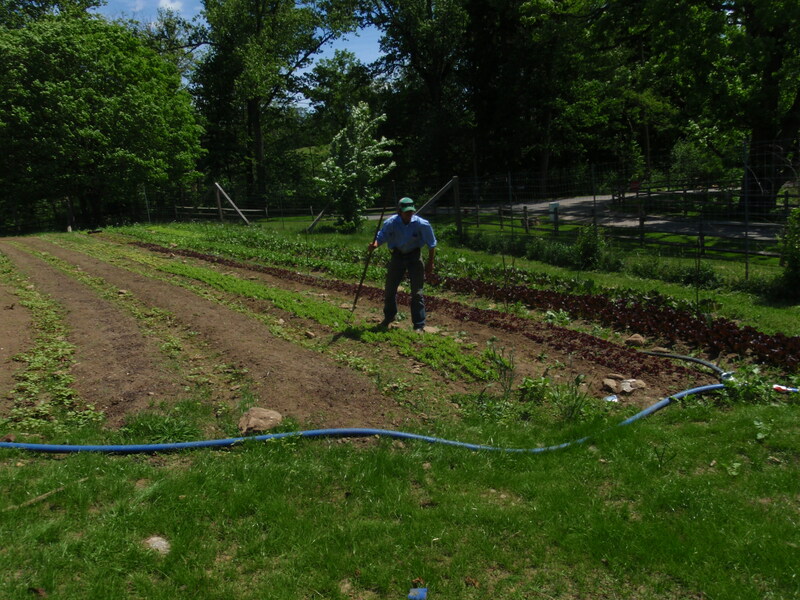 Garlic, onion, spinach, beets, potatoes, carrots, grapes, tomatoes among others, are grown at Stone Barns. It is from the top of the small hill where the vegetables are farmed where you glance over your shoulder and get a majestic view of the barn with a beautiful small garden which, we were told, is a tea garden. 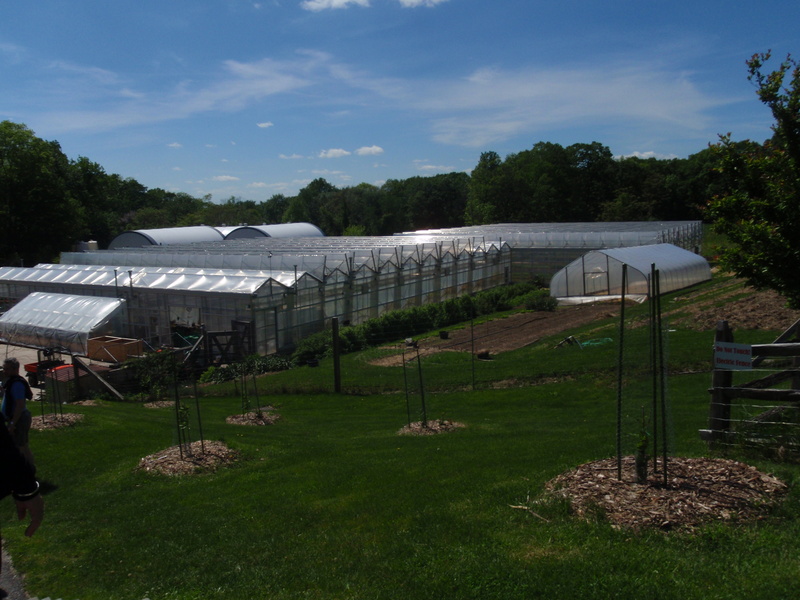 Furthermore, we had the chance to tour the awesome half acre greenhouse. 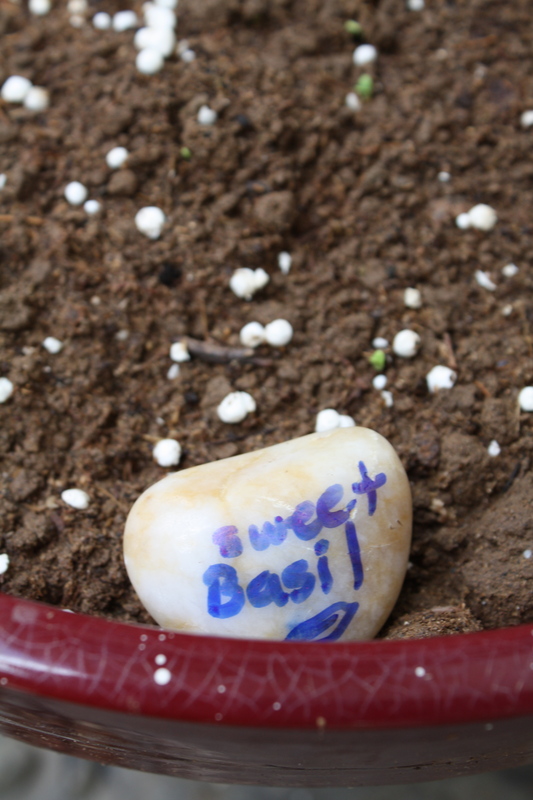 The seeds are planted into the soil (instead of raised beds) and has a sophisticated irrigation system. 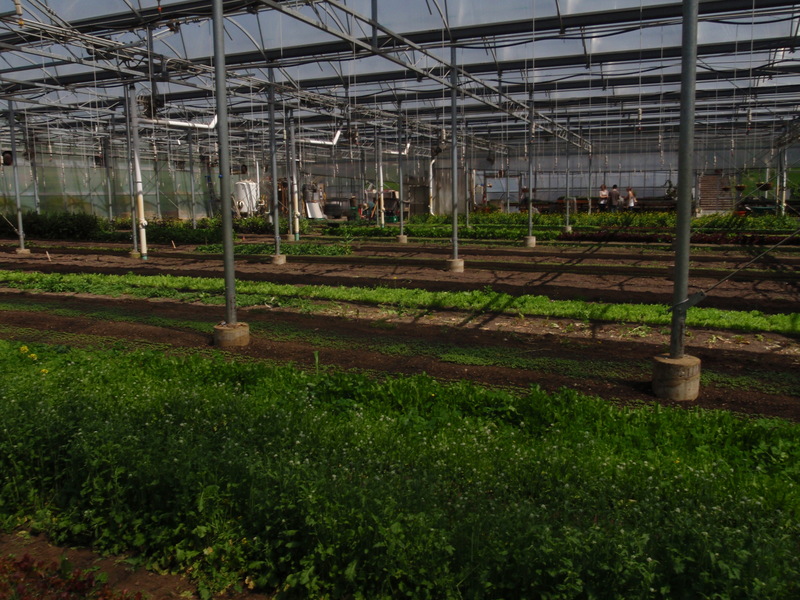 Everything planted in this hi-tech greenhouse is for consumption and follows a 2 year rotation. It has automatic sensors that open up when it gets too hot or at the time of day it needs direct sunlight. 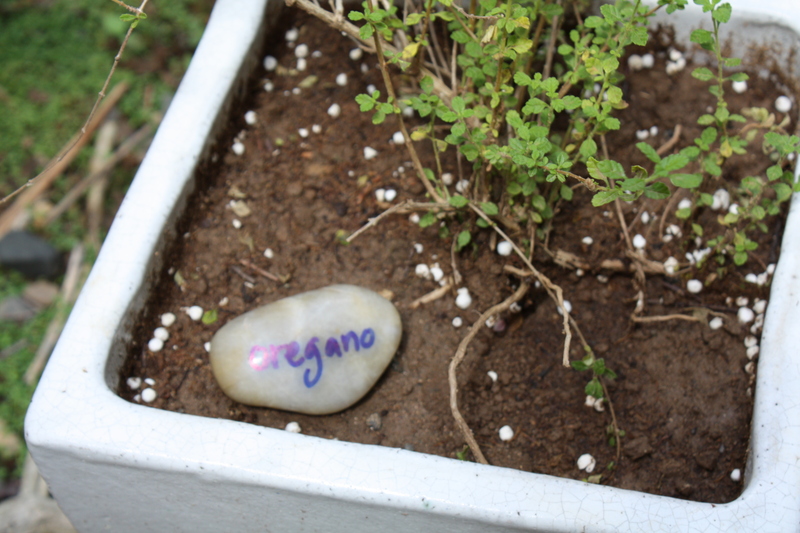 We had a chance to sample some arugula and enjoyed the aroma of rosemary. 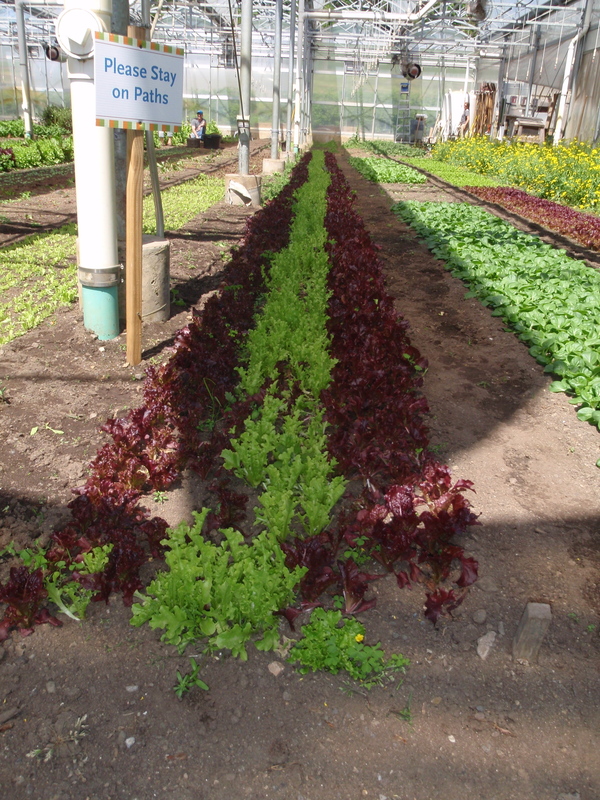 As an interesting fact, in the summer, the yield is about 300 pounds of greens per week. 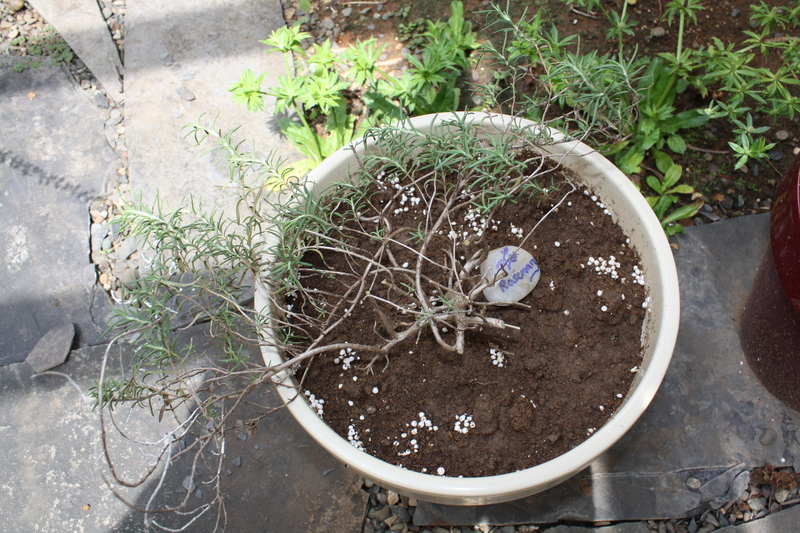 Also, we took a quick look at a small cabin where they dry herbs. 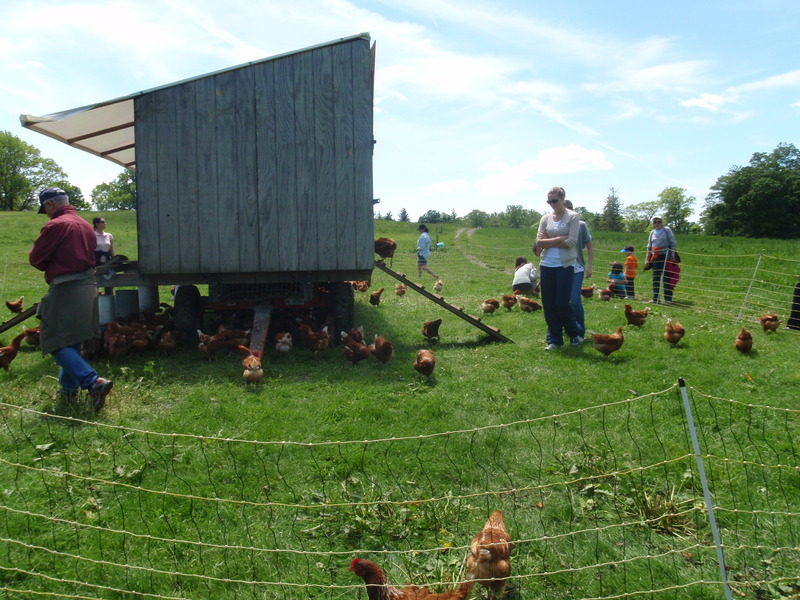 Nearby, there is a chicken slaughter house and a livestock slaughter house where the stress-free pastured animals are taken to be turned into the ingredients used to delight patrons at the Blue Hill Restaurants. Everything in the farm is grown for food in a natural way. However, they have not been certified by an organic food organization and do not seek to. In addition, there is an area in the woods where the pigs that are for procreation are kept. We had a couple of hours to kill after the tour, so we took a break for our tired little feet to rest at the Blue Hill Café where you can find outdoor communal tables for visitors to relax and sample some of what the farm has to offer. 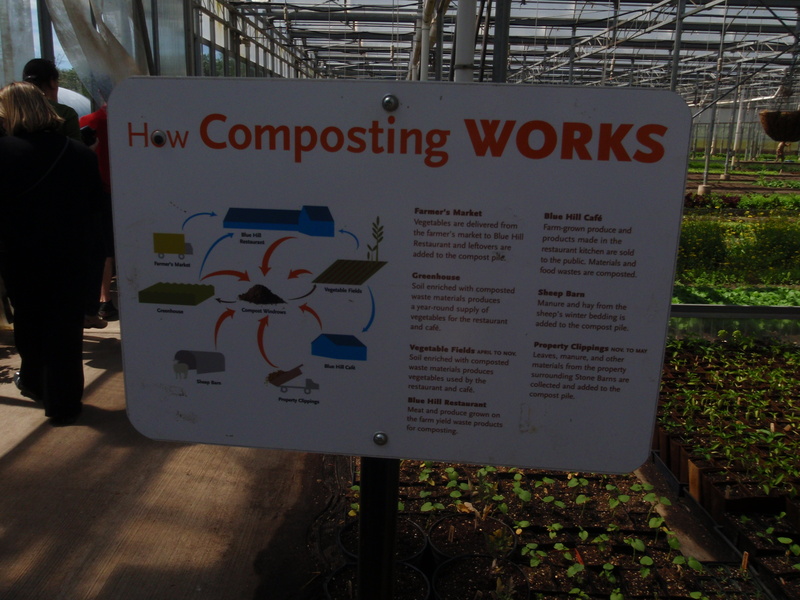 Everything there is compostable or recyclable and the waste bins are clearly labled. 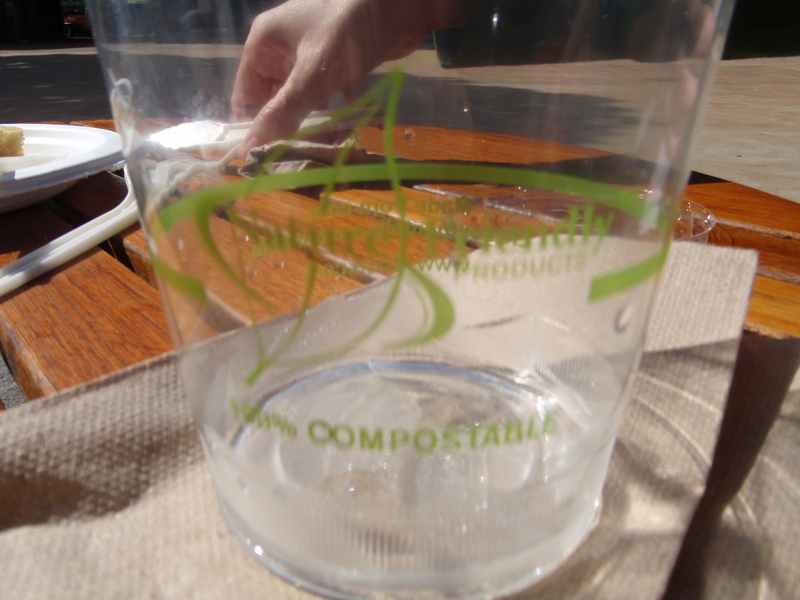 Even my water cup was fully compostable! 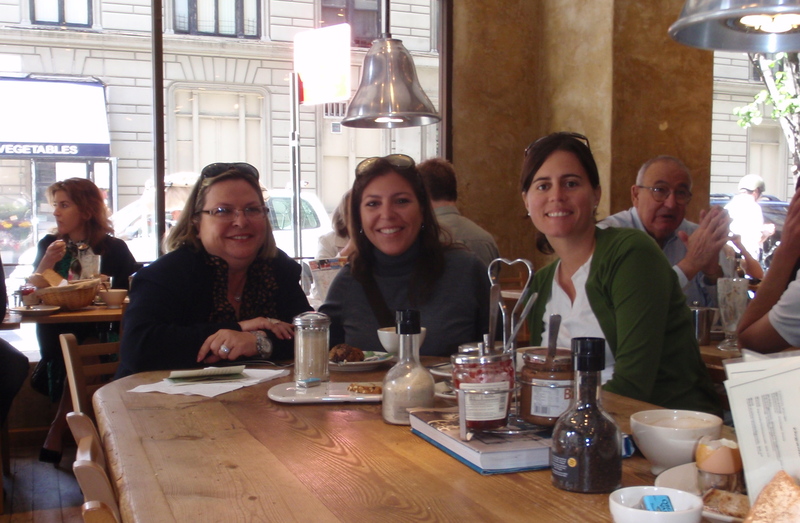 I had a savory potato focaccia as a snack and enjoyed a lively conversation with Maryse and my mother about what we had just seen and heard. In addition, we met a couple from upstate New York who came to the property to learn how to expand their family farm into a sustainable and eco-friendly local business. Later, we curiously watched as the guests of a wedding arrived and as the visiting farmers and natural foods bakers packed after a long day selling their goods. Finally, fifteen minutes before 5 in the afternoon! We entered the Blue Hill Restaurant at Stone Barns and immediately its friendly maitre d’ came over to greet us. As I explained that we didn’t have a reservation, that we wished to have dinner at the bar, he was still gracious enough to invite us to take a view at the empty grand salon where the people that had made reservations two months in advance would have dinner that evening. It was a medium sized room with high ceilings, bright, simple and crisp white linens. He asked where we were from and started telling me stories about how much he liked Puerto Rico and the places he had visited in Condado, Ponce and Isla Verde. 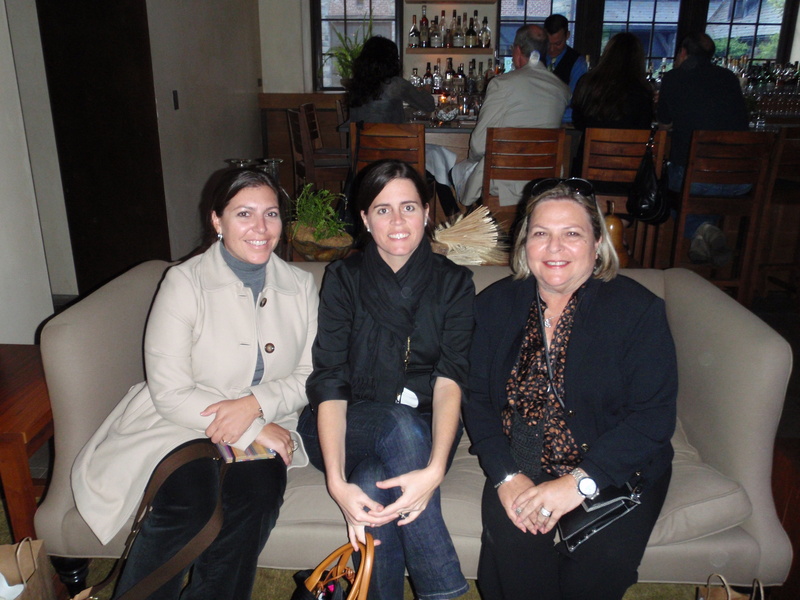 Finally, he brought us to our seats at the bar near the fireplace and we met our waiter/bartender. At Blue Hill many drinks are made with natural rhubarb sugar which we saw our bar tender use to prepare virgin cosmopolitans and the Mojitos ordered by the couple sitting next to us. My mom and I ordered red wine. Then, our waiter proceeded to explain how things are done at the restaurant. First, he brought us a menu with a list of all the ingredients available that day. Then he asked if we were having the 3 ($55), 5 ($105) or 8 ($175) course meal. We chose the 5 course meal and although pricey, the experience was worth every penny. Finally he asked us what we don’t want or can’t eat from the list in the menu and to choose a preference from the two alternatives for appetizer, main course and dessert. 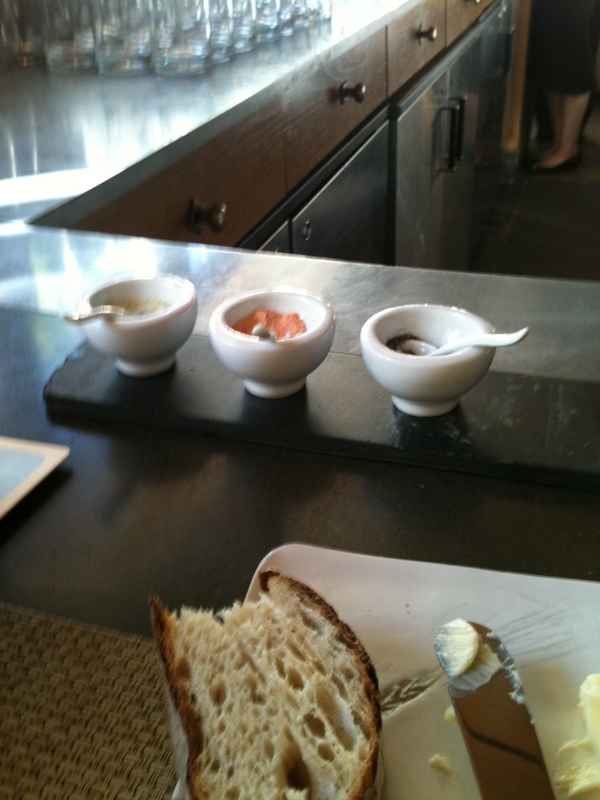 The way our meal was prepared and the “amuse-bouche” in between, were entirely up to the chef’s desires. This gave the whole experience an element of surprise and excitement. 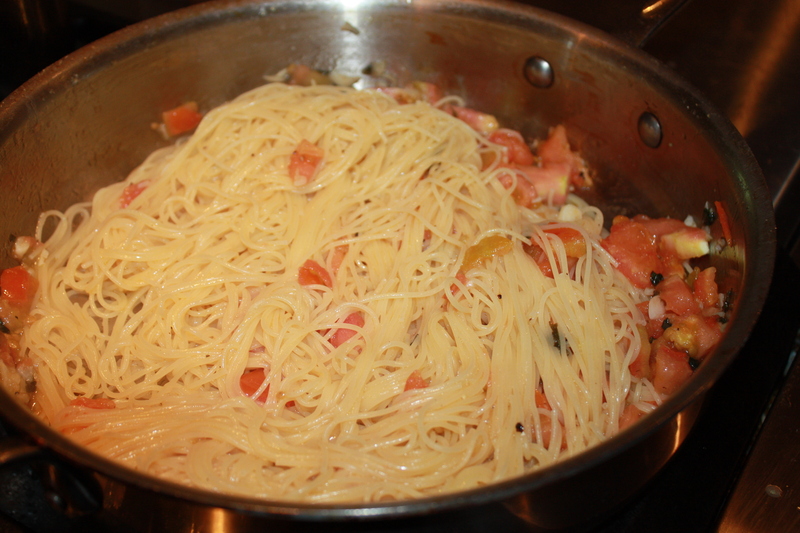 Everyone, according to their tastes and selection of ingredients, got different servings. Ah, and we got the best view from the bar, because from our seats we could watch the kitchen staff work their magic! Fantastic! The first thing we tasted was called a Switzi City Spritzer, a sparkling concoction that had Anise flavor. The next waiter brought (yes, there was a different waiter for each entré!) 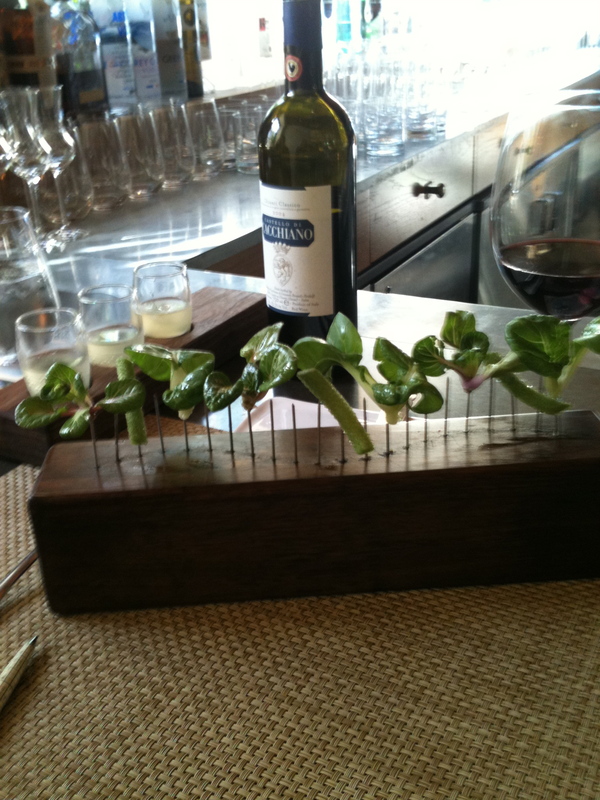 a selection strange greens sprayed with olive oil and sprinkled with salt and pepper staked in a wooden base with nails. They were crunchy, fresh and delicious. On the other hand, our neighbors got baby carrots and greens for this course. 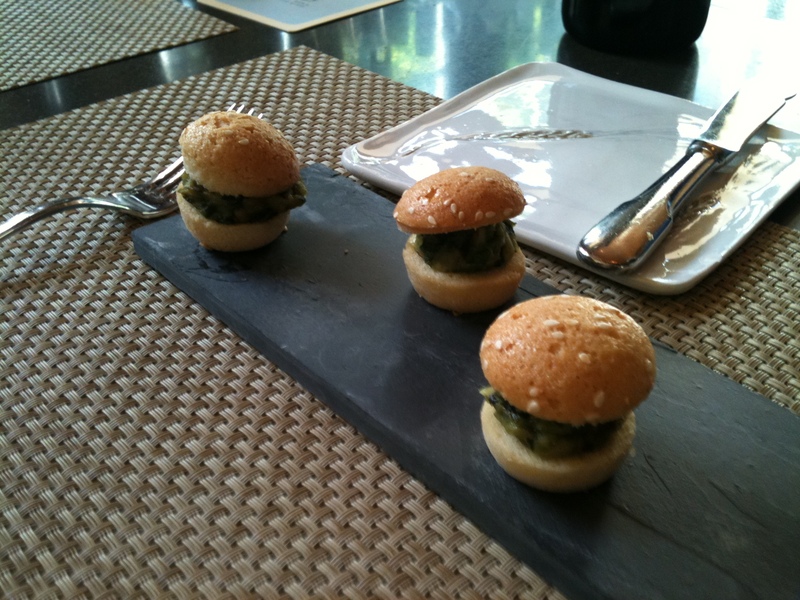 In addition, since asparagus and mushrooms were in season, we were served “amuse-bouche” of asparagus tips dipped in egg batter and covered with sesame seeds and mini hamburgers made of a mix of button mushrooms, garlic and herbs with sweet bread. 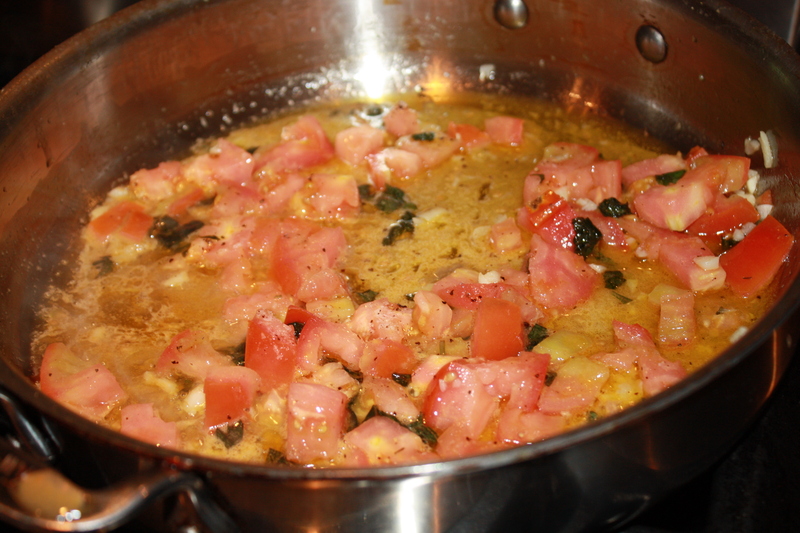 Following, the first course was served in a glass bowl. 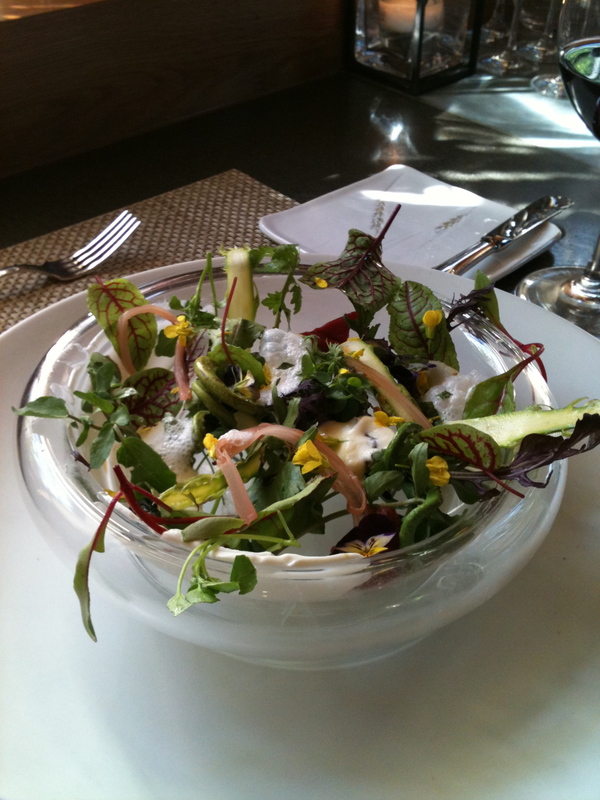 A salad of mixed seasonal greens, parsnips, rhubarb, asparagus, strawberries and flowers like johnny jump up violets and broccoli flower with a foamy goat cheese-yogurt dressing. At this moment, a selection of flavored salts ( asparagus, carrot and black trumpet mushroom) was placed in front of us to sprinkle over the butter on the heavenly caramelized onion bread. 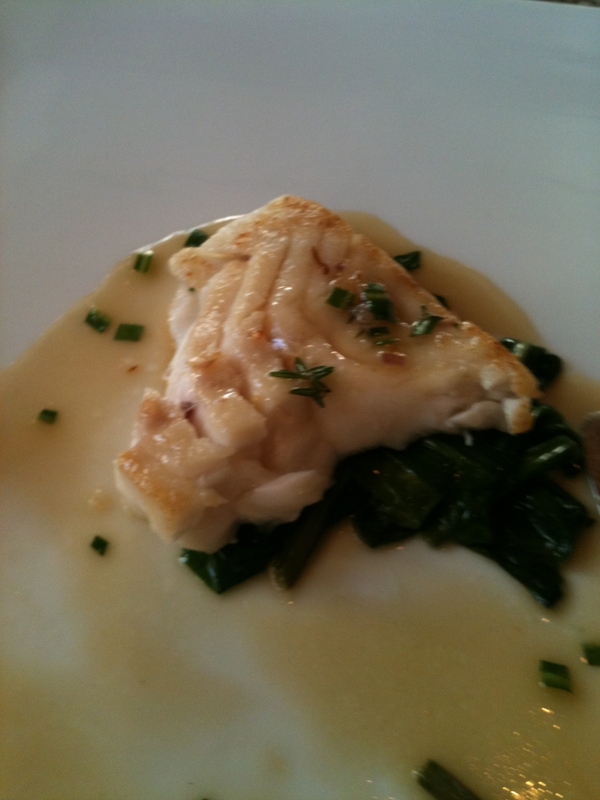 The second serving was a black sea bass (some ingredients are outsourced if they cannot be found in the farm) in a bed of sauteed greens with fresh chives and a delicate butter-white wine sauce. 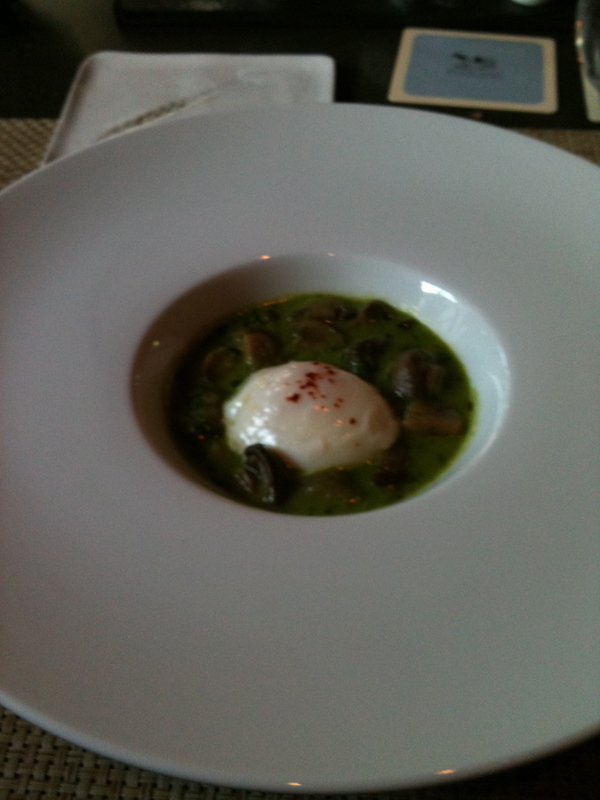 Next, was a poached egg served in a “green soup” with sauteed button mushrooms, onions and garlic. 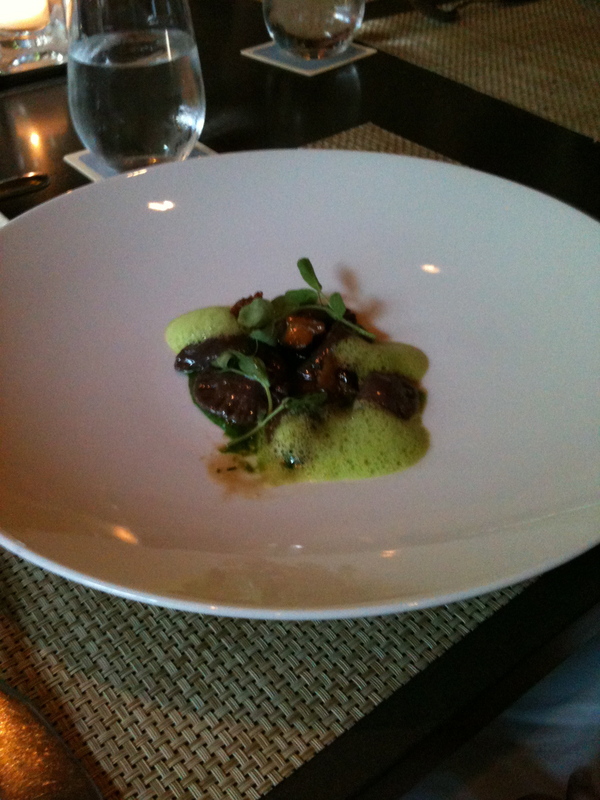 Since Maryse couldn’t eat egg, she was brought peruvian purple potato gnocchi with spinach broth and shiitake mushrooms. She loved it! 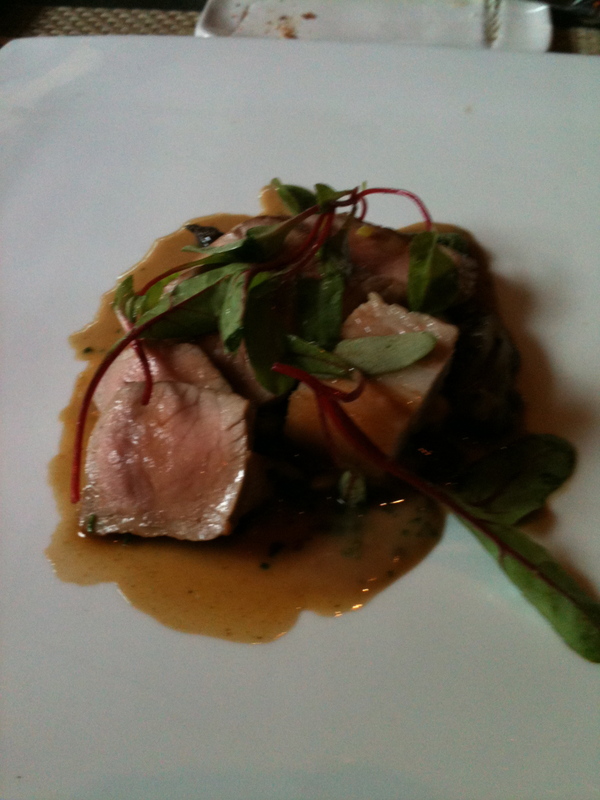 Fourth was a piece of farm raised Berkshire pork which seemed to be tenderloin. 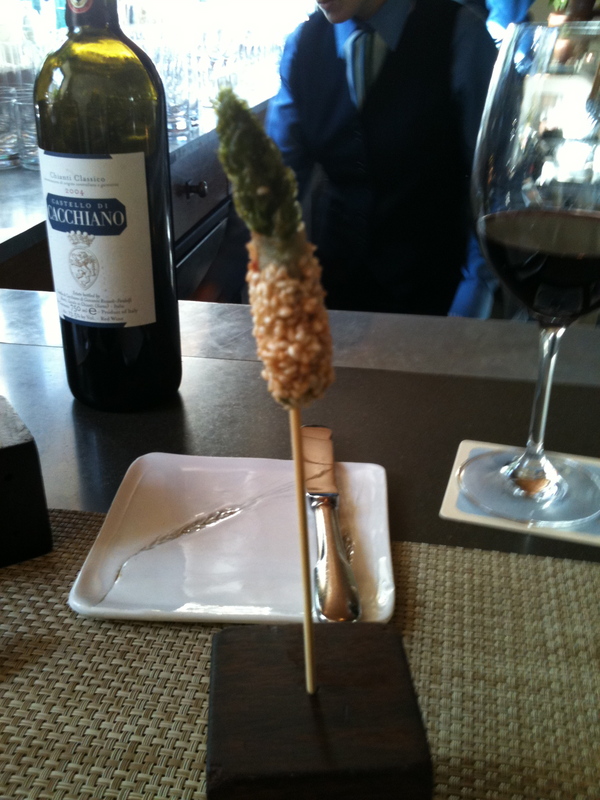 However, our waiter didn’t confirm or deny if it was a pork tenderloin. What he did say was that sometimes other pieces of the natural, stress-free pork, if butchered and cut properly and cooked delicately or with special techniques like “sous-vide” (sealed in a vacuum in low heat for a long period), the meat cuts will become as smooth as tenderloin. Whatever cut it was, it was tender indeed and full of flavor served with morel mushrooms, asparagus, fiddlehead ferns, red vein sorrel, chives and chickpeas with a sultry butter-wine sauce. Finally, for dessert I was served a chocolate-hazelnut crunch bar with ice cream, cocoa nib and caramel. Presentation and service was superb. The creativity and quality of the food was exquisite. After some tea and almost 2 hours of delectable dining and wonderful company, we headed back to the Tarrytown train station. On our way to the station, we passed the Union Church at Pocantico Hills where there is one Matise and several Chagall stained glass windows and enjoyed beautiful water views. During our train ride back to New York City were felt satisfied both emotionally and physically. Running south on the east bank of the Hudson River, I admired the sunset and reflected on the wonderful opportunity we had that day to slow down and recharge in communion with nature and simplicity.